Ladysmith, Wisconsin. Tammy and Brian Michielson became the owners of Maple Hill Farm in 2006 and began raising grass-fed beef, free-range chickens, pigs and a flock of sheep. Sheep are now the main animals on the farm. They are milked twice a day and some of their nutrient-rich milk is used in Maple Hill Farm's handmade sheep milk soap and lotion. 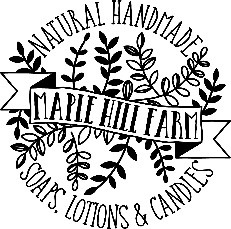 Maple Hill Farm is focused on providing quality products from animals that live a quality life.